Get Tandemkross� best Browning Buck Mark upgrades for Rimfire Challenge and other speed shooting sports with the new "Race Gun" Kit for the Browning Buck Mark pistol! 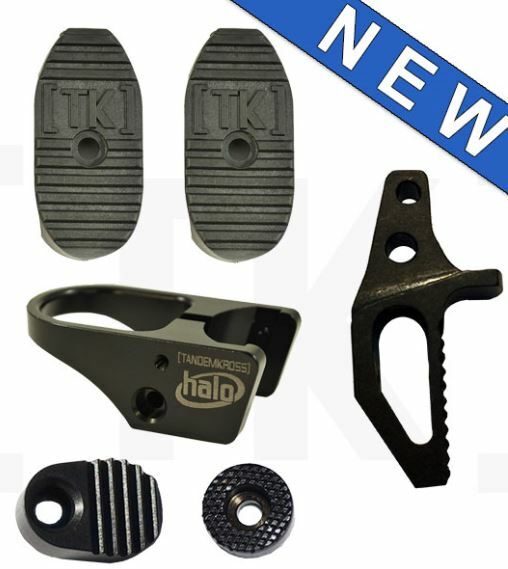 If you're competing in rimfire competition, these are the upgrades for you! Improve your trigger for short, repeatable, identical trigger pulls every time. Make charging easy for any user, both left- and right-handed, with the unique ring pull design of the "halo" Charging Ring. 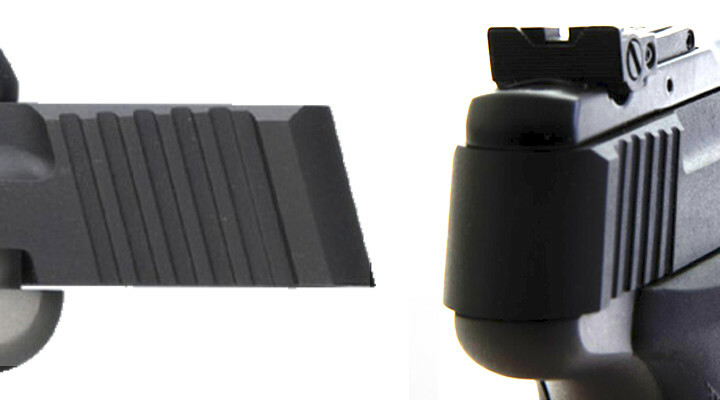 The "Titan" Extended Magazine Release and "Buck PRO" Extended Base Pads make magazine changes easier and boost the consistency of positive magazine seatings. Whether you're just starting out in the shooting sports and need to fully upgrade your Browning Buck Mark accessories, or are outfitting a firearm to make shooting easier for a junior or senior shooter, or anyone with smaller hands, the "Race Gun" Kit for the Browning Buck Mark from TANDEMKROSS is a great way to boost your gun's reliability and performance. NOTE: There are quite a few variety of bolts for the Browning Buck Mark. This accessory will only fit the newer style bolt shown below.